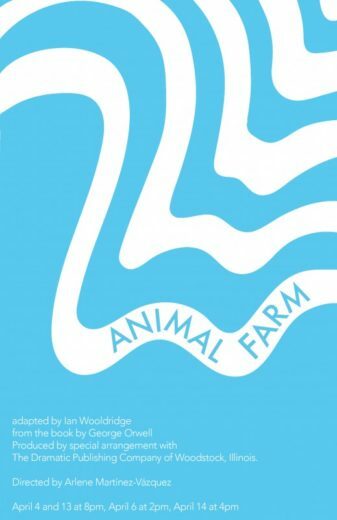 Cornish students apply their skills to transform into the animal denizens of a farm who overthrow their human masters and then need to sort out how to actually run things in George Orwell's incisive satire on independence, power, leadership and responsibility. How do you live with integrity in a world where, in Orwell's famous phrase, "Some animals are more equal than others? Director Arlene Martínez-Vázquez directed last season's production of The Sins of Sor Juana at the Alhadeff Studio. Her local productions have included Native Gardens for Intiman and the Proof Porch Project and Juan Palmieri for Thriving Artists.